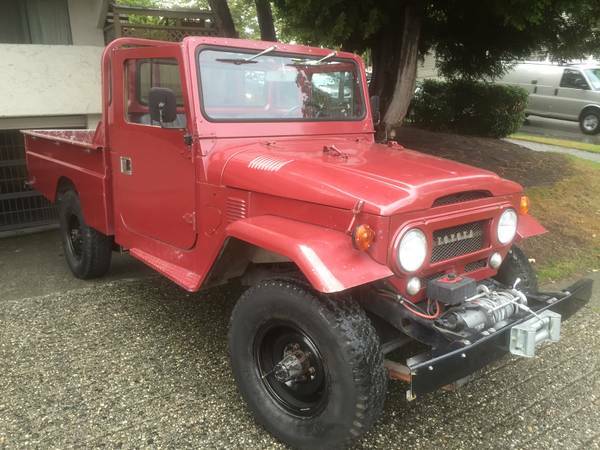 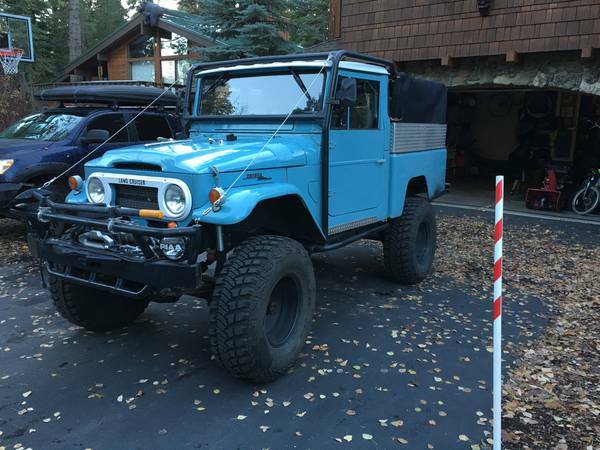 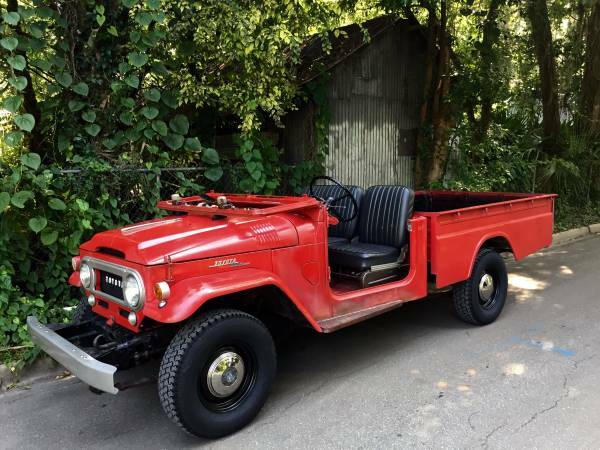 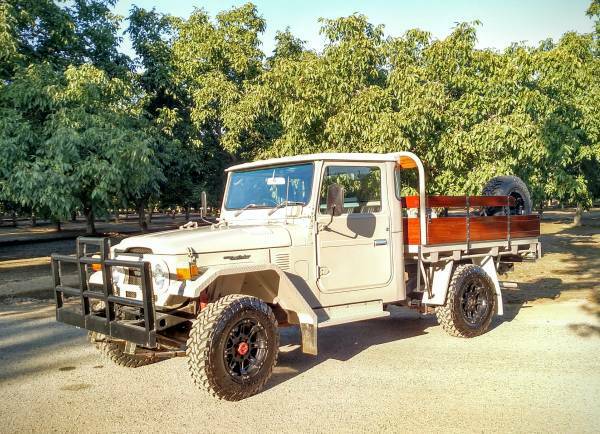 Showing Articles Posted In: "FJ45"
Toyota Land Cruiser for sale, found this one a project of the FJ45 4x4 pickup truck is said good but not perfect. 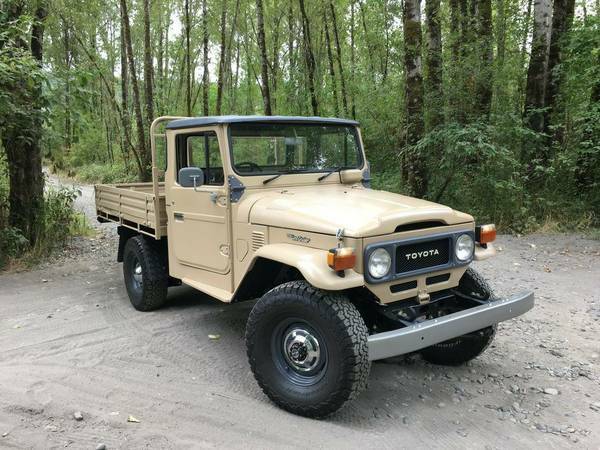 As shown here is 1977 model sold as is. 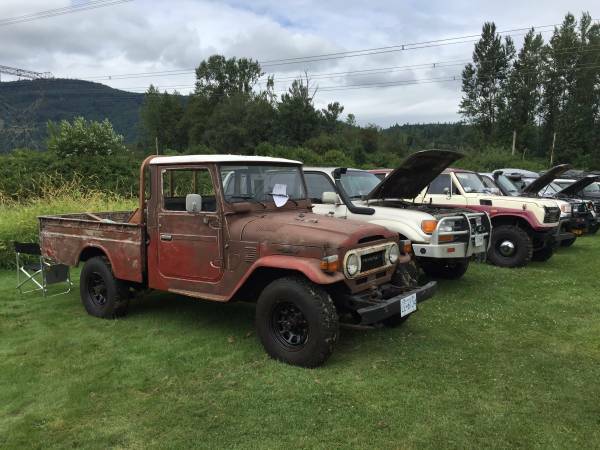 Despite he lost the roof, few rust, no horn and uncompleted interior it's look has a lot potential to restored and the good thing is no words about mechanical issue.